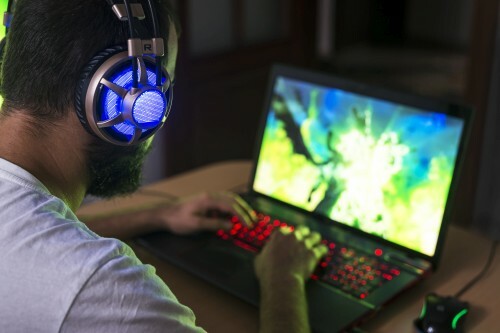 Thanks to their incredible graphics, vivid displays, and pitch-perfect audio, gaming laptops offer an immersive entertainment experience in a handy, portable package. Many also offer stylish designs, the ability to use VR headsets, and desktop-quality keyboards. With so many options and features, it can be a bit overwhelming to pick one that best suits your needs and budget. We’ve done a bit of research and here are our recommendations. Starting at $750, the Dell G3 is perfect for students and gamers looking for an inexpensive gaming laptop that will still be able to run the latest titles. This laptop is one of the cheapest systems available on the market today that benefits from a dedicated GPU. While it “only” has an Intel Core i5-8300H and 8GB of RAM, it does have the powerful Nvidia GeForce GTX 1050 Ti in there too, meaning it can run the latest games at the standard detail settings, although it does struggle a little with high resolution gaming. The Dell XPS15 is suited to those who want a gaming laptop that they can also take to work. With prices starting at $1,000 the XPS15 is a brilliant example of a ultra-portable laptop. It comes standard with a quad-core Core i5-8300H processor which can be upgraded to the six-core Core i7-8750H if you require that extra power. The GeForce GTX 1050 provides enough headroom to comfortably run recent games at medium to high settings, but like the G3, can struggle with 4K resolution gaming. The only thing left to say about this laptop is that if you are planning on investing in one, then you should definitely consider some high-end headphones as the sound quality is not one of its strong points. Unlike the majority of gaming laptops, the Aero 15 is a lightweight and slender machine. Packing an impressive 6-core 8th-generation Intel I7-8750H and a GTX 1060 means this laptop is seriously a force to be reckoned with. With options starting at $1,999 for a Nvidia GeForce GTX 1060 GPU, this laptop can run the latest games at respectable settings. The Aero 15 boasts a dual fan cooling system that distributes heat between the CPU and GPU when one is hotter than the other, helping spread the heat around regardless of what type of task you’re performing. Starting at $1,799 the 13 R3 is a serious bit of kit. 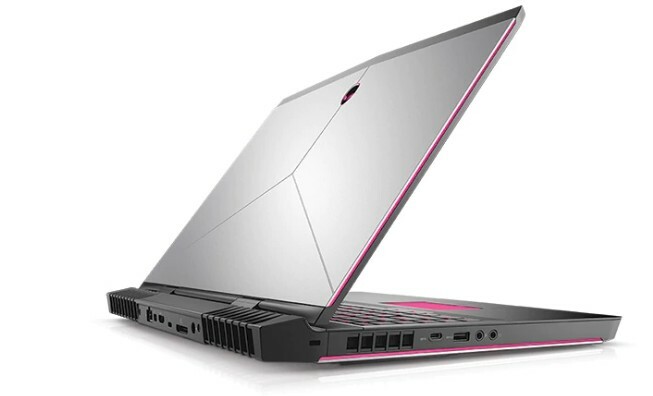 This 13-inch gaming notebook boasts the first-ever OLED laptop that gives you vibrant, crystal-clear gaming experience. The CPU and GPU, a 2.6GHz Intel Core i7-6700HQ (quad-core, 6MB Cache, running at up to 3.5GHz with Turbo Boost) with a GTX 1060, can keep up with the most modern games at the highest settings. Alienware is known for having some of the sleekest designs, helping your gaming laptop stand out from the pack, not just in performance but in looks too. The Razer Blade Pro is a laptop that is more than capable of replacing any desktop. Measuring a tiny 0.88 inches thick with the option of a 17-inch 1080p display running at 120Hz or, if you really want the best laptop gaming experience that money can buy, a G-Sync 4K touchscreen. Powered by an Intel Core i7 and an Nvidia GeForce GTX 1060 this laptop should keep you at the forefront of gaming for many years to come. Starting at $1,800 this is one of the best gaming laptops available today. While this laptop starts at a little over $1,500, it’s the $3,800 version that has really caught our attention. Boasting an overclocked Nvidia GeForce GTX 1080, and a staggering 32GB of RAM, this laptop is arguably the most powerful gaming laptop you can buy today. The Core i9-8950HK packs the same six cores and twelve threads as the 8th-gen Core i7 chips, but at higher clocks that range from 2.8GHz all the way up to 4.8GHz. This is a serious laptop for serious gaming, and receives our highest recommendation for 2018.